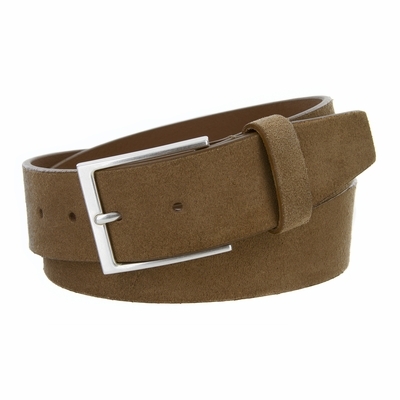 1-1/2" = 38mm Wide suede leather navy and tan belt. Casual belt for a proper fit and to style your clothing and shoes. These colors can be matched with white, beige, brown, and red for the NAVY and white, beige, and navy for the TAN. 5 Holes for easy fit adjustment and an polished silver plated square buckle.